Need a Safe Hoverboard that Won’t Explode for Cheap? Need a Safe Hoverboard That Won't Explode? You probably also are looking for a cheap hoverboard. No problem, I can help you find that too. You've decided that it's time to bite the bullet and buy a hoverboard. The only problem is, now you don't know what hoverboard to buy. You don't want to buy one that will blow up. Or one that's too expensive. Or too cheap for that matter. You've heard that the cheap hoverboards are more likely to explode. You want one that's fast, but also a hoverboard that's safe. The hoverboard isn't for you, but it's for your kids, so you need to know which hoverboard is the best for kids. Does this sound like the thoughts running through your head as you look for hoverboards online? It's OK; I've gone through the same thing myself. When I was trying to find what hoverboard to buy, I had all those same thoughts and questions. As a matter of fact, those same issues are what made me decide to create this site. I wanted ScooterEra.com to be the best hoverboard site and to help people find the perfect hoverboard for their needs. I'm looking for the safest hoverboard that I can find. It needs to be something that can withstand the abuse of a teenage boy. Of course, I want it safe. However, the quality of the hoverboard is most important. The hoverboard that I get should look and feel well-built. I need the cheapest hoverboard that I can find. I might need to buy several for my kids, or I just want one, but I don't have that much that I can spend on it. I already have one, or am just researching them, but I need help! Can you show me how to shop for a hoverboard? Or how to fix my broken hoverboard? So Many Questions About Hoverboards, Where do I Start? You've been looking for a hoverboard for a little bit now. You'd seen the stories about how hoverboards were unsafe, and that there had been a huge recall of them. However, you know that there's a new safety standard for hoverboards (UL-2272) and because of this you've made the decision to buy one. But as much as you've scoured the internet trying to find the best hoverboard to buy, all you've done is find more questions. Which hoverboard catches on fire? Is a lithium-ion battery safe? Where are hoverboards sold near me? Which hoverboard is the best? Where can I find a hoverboard with Bluetooth for sale? How do I use a hoverboard? What is a hoverboard? Is it like a scooter? A skateboard? Here's a question: why is picking the best hoverboard so difficult? And why do they cost so much money? Have you already seen 1,000,000 hoverboard sites that don't provide any useful help? Maybe you've read a ton of hoverboard reviews that all say that "You should buy this hoverboard," at least you think that's what they were saying between all the spelling and grammatical errors. Have you already gotten your hoverboard, but you accidently broken it while riding? Or you've got a hoverboard that looks exactly like everyone else's, and you want to learn how to customize your hoverboard. 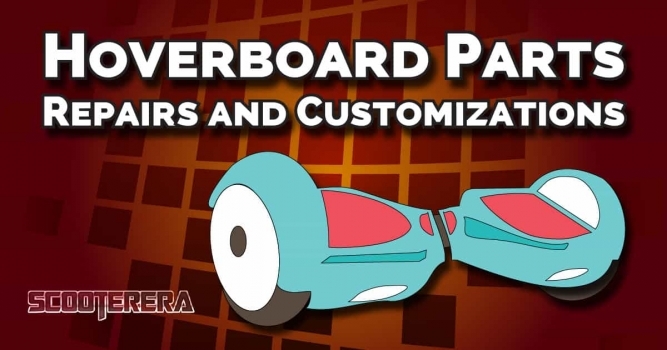 You did know that you can customize your hoverboard with things like hoverboard covers and replacement shells, right? Do any of these questions sound like something you've been searching online? Are you tired of being confused by hoverboards and you just need a quick answer to some fundamental issues? If so, then you're going to love ScooterEra. I needed to get a hoverboard for my son's 13th birthday, but I couldn't decide which one. I asked Travis, and he helped me to choose the perfect hoverboard. Not only that, he showed me how to save $50. Thanks, Travis. - Marissa Z. Dallas, TX. After the hoverboard recall, it was difficult knowing which hoverboards could catch on fire, and which ones were safe. I must have sent Travis 100+ emails, but he was able to show me what hoverboard I should buy. Without his help, I would probably still be looking. 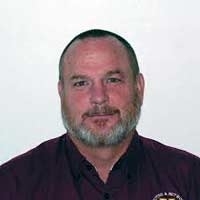 - Dale C. Jacksonville, FL. My husband and I wanted to get our grandson a hoverboard as a graduation present, but we didn't have time to order online. We looked everywhere, but couldn't find where to buy a hoverboard near us. After messaging Travis, he told us three local stores that were selling hoverboards. We got one that afternoon and had it for the graduation party that night. - Claire M. Los Angeles, CA. Not sure which hoverboard you want, but you know the basics and have an idea of what you need? 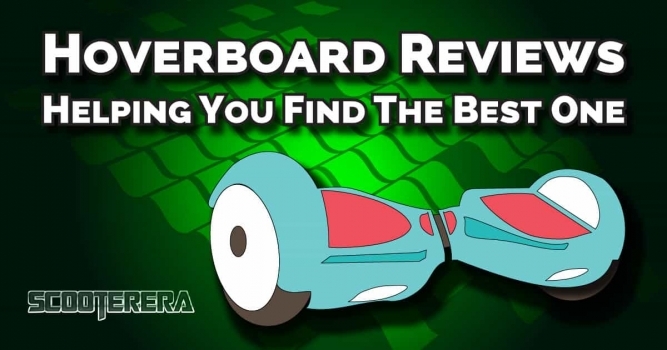 See the hoverboard comparison review and its comparison of 7 hoverboard brands. I started ScooterEra because of a comment a friend made. He had been asking me questions about them, and I asked him why he was asking me instead of just Googling it himself. I was amazed when he replied that he had tried but couldn't find anywhere trustworthy. All the sites he found seemed sketchy and appeared that they didn't know what they were writing about on their site. He convinced me that I could do much better. The rest is history. Since I started the site in 2015, I've individually helped over 100 people find the best hoverboard for their specific needs. Hoverboard, self-balancing scooter, smart balance board, two-wheel self-balancing electric scooter, call them whatever you like, they're all the same thing. If they're all called the same thing, does that make all of them the same? Why makes this hoverboard worth so much more than that hoverboard? How do you know what features you should look for and what's a good price to pay for a hoverboard? Inside the hoverboard reviews, I cover these points and much more. You'll be able to find reviews showing you the cheapest hoverboard, the best Bluetooth hoverboard, whether the Swagtron T1 is a safe hoverboard, just to highlight a few of the reviews. The same as buying a car, getting a hoverboard can require learning a ton of information. Luckily, I've gathered some of the most helpful information about self-balancing scooters and created a few useful guides. You'll be able to read articles teaching you where the best place to buy a hoverboard is, things to consider before purchasing a hoverboard, how to find the best scooter deals, and of course the ever popular hoverboard FAQ page. 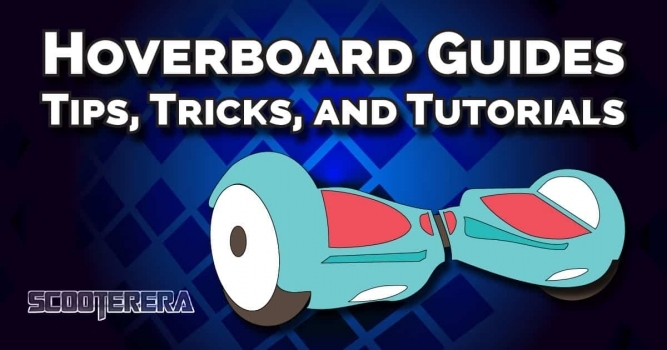 If you have any questions about hoverboards, this is where you'll find the answers needed. 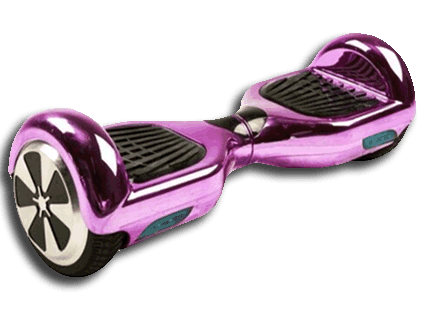 Be sure to check out the cheapest hoverboard prices page. I update it frequently with the best savings and deals I can find to share. Once you are a member of the hoverboard owner family, you'll probably want to look over these articles. Included inside are safety reports, such as what safety gear you need to use your self-balancing scooter safely, or what hoverboards have been recalled by the manufacturer. Then, of course, are the articles sharing different ways to customize your hoverboard. There's a ton of hoverboard skins that you can use that completely change the look of your self-balancing scooter. You can even replace the hoverboard case. And speaking of cases, you can find the best hoverboard accessories that will make your life so much easier. If you've accidently broken your hoverboard, you can find several DIY repair guides explaining how to troubleshoot your issues. I've also included what replacement parts you'll need to fix whatever your issue might be. Have you heard of these hoverboard brands? These are just a few of the names included on the site. If you know of a brand that you think should be included here, please feel free to send me a message via the Contact form on my About page. Also, vendors if you'd like to have me list your product, please contact me. By coming here to ScooterEra.com you are easily going to be able to find the hoverboard that's best for your needs. Even better is that I share deals and tricks that I learn to save you money on your purchase of hoverboards or any of the many spare parts and accessories. One of the best places that you can buy a hoverboard from is Amazon.com. Any self-balancing scooters bought on Amazon are eligible to purchase a SquareTrade extended warranty within three days of buying your hoverboard. Want to hear what the SquareTrade warranty provides? 24/7 assistance, you can call or email and talk to someone about your potential warranty claim. No cost shipping to and from the service center. No extra fees for covered warranty work. You're not going to believe how much it costs. First, though, here's a rough idea of how much it would cost to purchase the extended warranty directly from the vendor. Let's use Swagtron.com as an example. Buying the extended warranty at Swagtron.com will cost a minimum of $100. That's for one year extra of coverage. You'll typically have to pay for shipping to and from the service center. The extended self-balancing scooter warranty on Amazon costs about $32 (at the time of writing this) for a hoverboard that costs $400. You not only save $60, but you also get an extra year of coverage. In my opinion, that's the best reason to purchase a hoverboard from Amazon. As I mentioned above, there are lots of great articles and reviews about hoverboards and self-balancing scooters. Also, there are the various guides about using, repairing, and customizing your smart balance board. Sometimes, however, there's not enough time to read everything you might want. So here's a quick hoverboard comparison table highlighting my top 3 recommended hoverboards. No one hoverboard is perfect for everyone's needs. For example, you might have to buy a hoverboard for your kids. Bill, on the other hand, is getting into hoverboard racing and wants to get the fastest hoverboard that you can buy. It's safe, it's decently priced, and it's great for kids. This is the perfect starter hoverboard for everyone. Go here to see the complete comparison of the different smart balancing boards. Do you have something that you need to know about hoverboards? Feel free to send me a message, and I'll help you out. You can find the contact form on my About page, which is linked from the bottom of every page on the site. See the complete hoverboard FAQ page which has all the answers you need. A Segway is a two wheel motorized personal transporter. If has a wheeled base the rider stands on while holding onto a handle. The handle steers and drives the transporter. The prices of a Segway vary from about $1500 to $5000. The new MiniPro from Segway retails for $740. Why are they so expensive? Because of the different features built into the scooter. DO YOU KNOW WHERE TO BUY A SEGWAY? You can find Segways for sale at the company website Segway.com. There are also other brands that are similar on Amazon and EBay. 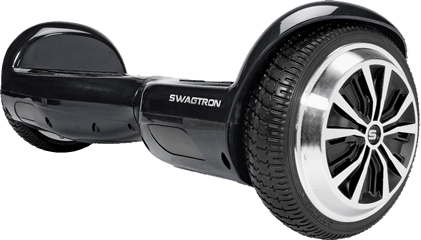 WHAT IS A MINI SEGWAY BOARD? AND WHAT'S THE DIFFERENCE BETWEEN A SEGWAY AND A MINI SEGWAY BOARD? The mini Segway board is what some people call a two-wheel mini smart self-balancing scooter. Imagine a Segway without a handle and then shrunk down to about the size of a skateboard. Think of it being a hands-free Segway. The larger Segway has a handle and can go faster and farther than the Mini-Segway. A hoverboard is a floating board that looks like a floating skateboard without wheels. It first became popular in the Back to the Future movies. WHAT IS A HOVERBOARD WITH WHEELS? YOU JUST MENTIONED A HOVERBOARD WITHOUT WHEELS? A hoverboard is also known as a two-wheel self-balancing electric scooter. There’s not a real hoverboard without wheels. Technology is not quite ready to give us the real hoverboard that we all want to have. One day we will have them, I hope. I'M SO CONFUSED. ARE HOVERBOARDS REAL? A real hoverboard as in a floating hoverboard without wheels does not currently exist. There are a few videos on YouTube that have some prototype hoverboards. It's still several years away before we can have a hoverboard like the one in Back to the Future. Watch this video; it's cool. 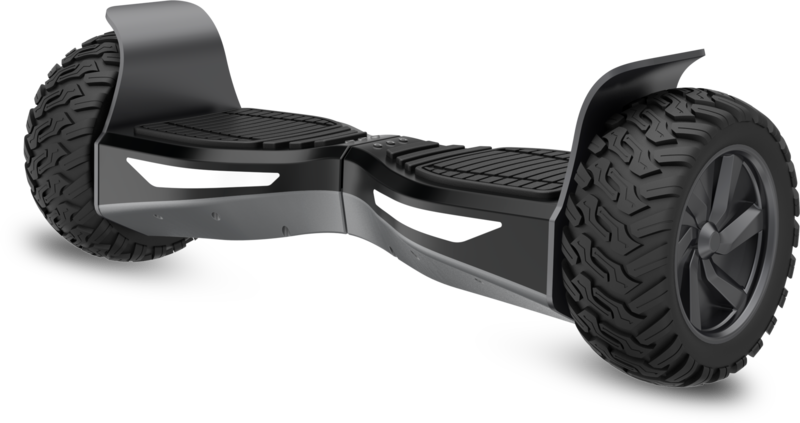 A smartboard is a name for a two-wheel electric self-balancing drifting board or hoverboard. WHO OR WHAT IS AN IO HAWK? IO Hawk is a brand of self-balancing smart wheel. They were one of the first brands of hoverboard sold in the US. However, there have been some legal issues for them recently restricting what they are allowed to sell. JEEZ, JUST TELL ME WHAT ARE ALL THE NAMES FOR A HOVERBOARD? You see the point. I think the longest name that I've seen is this: a two-wheeled hands-free self-balancing smart electric drifting scooter. Oh, with Bluetooth speakers, lol. I've got many more answers to all sorts of questions about hoverboard, electric scooters, and smart balance wheels. I'll call them what the manufacturer for whatever model I happen to be talking about calls them. Be sure to see the Hoverboard FAQs section. Also, I will be making a Complete Guide to Hoverboards that you'll be able to get for free. Who am I and What Makes Me Qualified to Help With Hoverboards? Hi, I completely forgot to introduce myself at the beginning of this page. I'm Travis; I run ScooterEra.com. I originally started the site to help a few friends out and because there weren't any quality hoverboard sites online. It's had some starts and stops, especially with hoverboards not being sold for a few months at the beginning of the year. ScooterEra went live during the last months of 2015, and for most of that time, I've been researching, writing, networking, and living/breathing the world of self-balancing scooters. Now I'm just trying to help people out by sharing what I've learned. P.S. 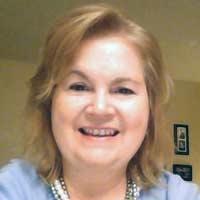 If you want to know a bit more about me and this site, visit my About page that's listed in the footer. Interested to buy a Hoverboard?